Jia Peng Fang (贾鹏芳) Erhu music / Background chorus by Wang Lei. 14. Dalla colonna sonora del film "La foresta dei pugnali volanti"
Vivaldi (La Tempesta di Mare, second movement). "Horse Racing" was written in 1959 by HUANG Haihuai (黄海怀), a well-known ethnic Han Chinese Erhu performer. "Horse Racing" depicts a scene of Inner Mongolian people celebrating their annual Nadam Fair. 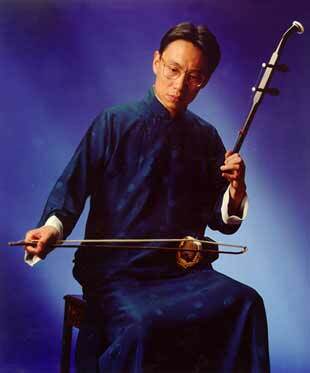 Erhu is a simple Chinese musical instrument. One must use many different techniques to play this music by Erhu. This music illustrates an amazing show of thousands of horses galloping and generating roaring sound. It is so unique and creative that it is recognized as a masterpiece of Erhu instrumental music. YU Hongmei (于红梅) is one of the best Erhu performers in China.